Do you have an Apple mobile device? Look for some exciting news about ECS courses being available on the iPod, iPhone, and iPad in the next few weeks. Christine is on furlough to the UK and we need to pray for the Ecuador ECS office administrator, Doris, as she continues the work in Christine’s absence. 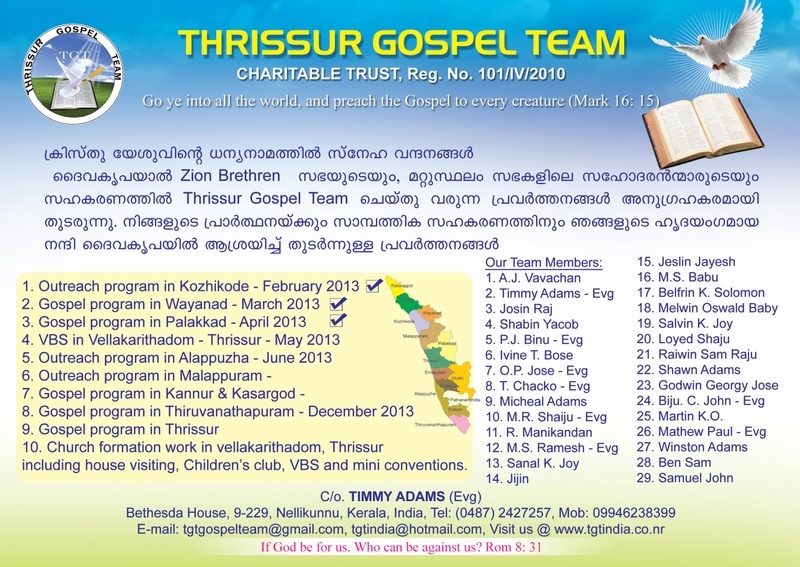 Prathyash Paul (1 year), son of Evg. 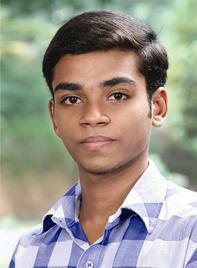 Koshy K. Paul met with an accident. He is now admitted at Thodupuzha Chazhikkadan's Hospital. Praise the Lord that the mail strike is finished. Pray that all mail will now be delivered and they will catch up on correcting courses. Praise the Lord that there are 250 of our courses used repeatedly by students. Students do the exams on blank paper and the course booklet is passed on to the next person. I was astonished, when I was requested to share the Word of God in a Thanksgiving meeting, in a big village, Devarkulam, situated between Tirunelveli and Sankarankoi, Tamilnadu. Senegal – David Astier - The office manager of the Emmaus work in Senegal, Michel Sarr, unexpectedly passed away on January 5 from heart failure. This loyal coworker, was converted by studying Emmaus Bible courses in 1988, and has managed the literature depot since 2000. Please pray for preparations for an ECS Columbia and an ECS Venezuela conference coming up in our next trip. Sharon and I leave for Bogota next Tuesday, March 19 and return April 10. Pray for this country and for 175 Christian families in one town to whom they minister. These families homes and contents were lost when terrorist/religious attackers burned them.